Scrawl has lived up to the team’s ambitions and has become an independent platform for artists. It enables freedom and the opportunity for illustrators to share their creations with others. These illustrators are extraordinary artist from all over the world. Scrawl mixes traditional illustration with nontraditional. As a reader you will find freehand sketches alongside computer made illustrations, computer code and meticulous craftsmanship. What are the results? The magazine is available in 155 countries and a top ranked app in the Newsstand’s Arts and Photography category. So far it’s received over 10 000 downloads. In addition, the pilot issue of Scrawl won both the “best in the comics category” and the grand prize at the “Magnify your world contest” held by mag+ last year. Recently they also won the national finals of Creative Business Cup and will move on to compete in the international finals of the same contest, held in Denmark in November. 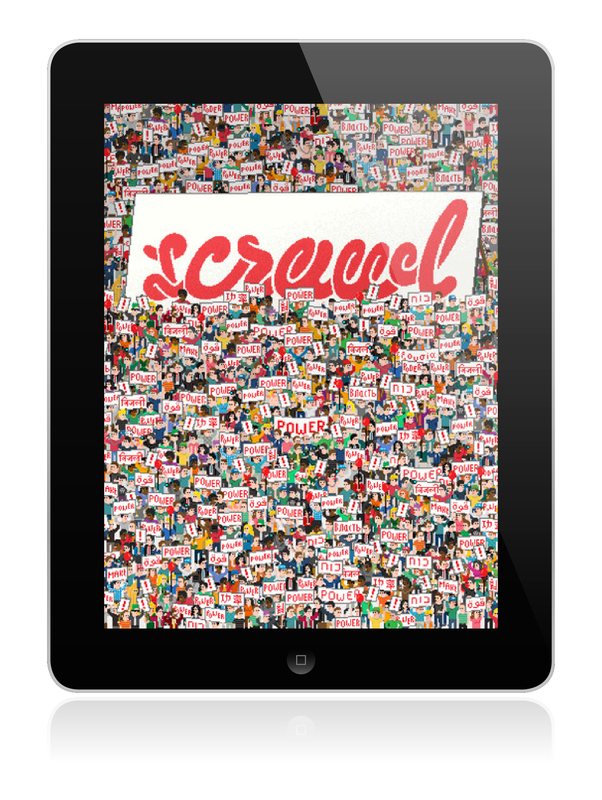 The current issue of Scrawl is available both for the iPad and the iPhone. Download the app for free here.